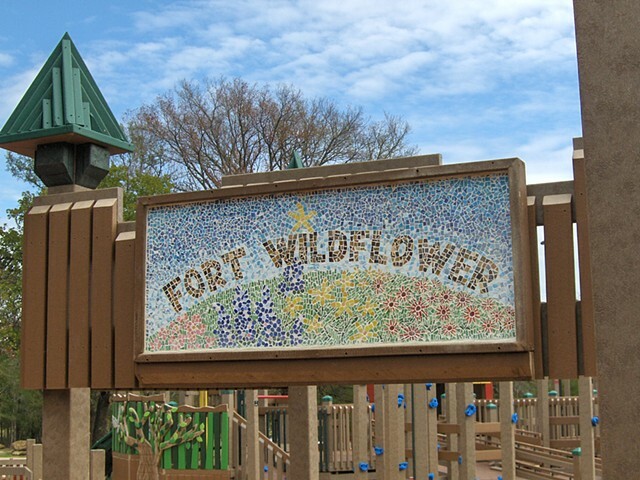 This glass tesserae mosaic was made by many hands as part of a Community Built Playground. The Volunteers worked with Karmien, using her design and direction made this possible along with and approved by sub committee, Arts Committee and Parks Department. Budget was donated. The two of these entry mosaic signs are identical.